It is almost time for the next second hand market in La Villa. The market will be held in the main street of La Villa this Sunday. There will be antiques, collectables and lots of great things. 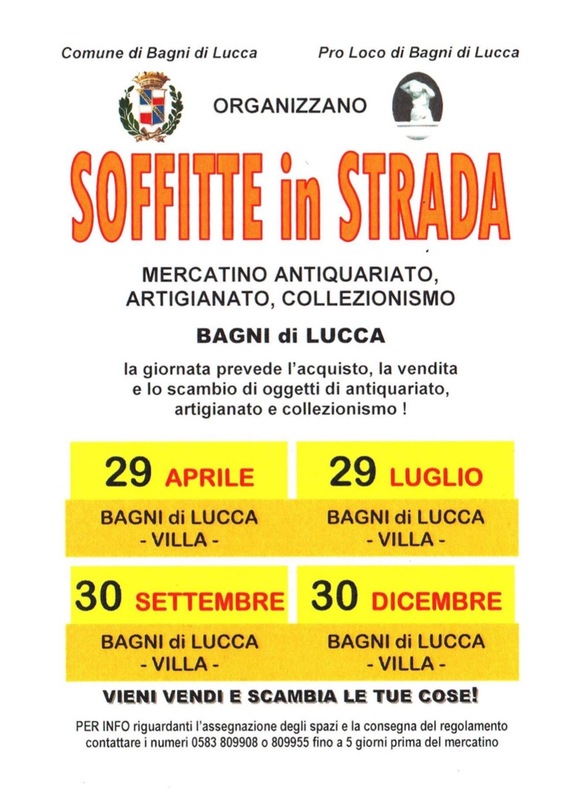 This entry was posted in Shopping, Things to see and do and tagged Bagni di Lucca, La Villa, local events, market, shopping by Debra Kolkka. Bookmark the permalink. Always an interesting event. You never know what you are going to find….